New Zealand was the last major landmass to be populated (with the exception of the polar regions), and is one of the lesser-populated countries in the world. These days, about one-third of the country remains uninhabited and is protected national parks. From rainforests to alpine lakes and pristine beaches to deep fjords, it’s a nature lover’s dream come true! No matter where you are in New Zealand, you’ll never be more than 128 km from the seaside. For such a small looking country, New Zealand boasts one of the longer coastlines in the world, with a length of 9,404 miles (15,134 km). 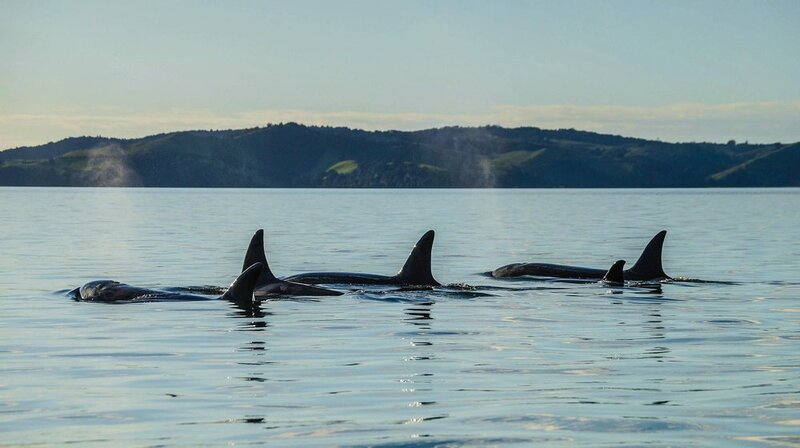 Plus, over half of the marine mammals in the world are present in New Zealand and thankfully our community partner Project Jonah is there to help protect them! New Zealand was the first country to have its three top positions of power held simultaneously by women: The Prime Minister (Helen Clark), the Governor General (Dame Silvia Cartwright), and the Chief Justice (Sian Elias). AND New Zealand became the first country to give women the right to vote in 1893. Right now, New Zealand’s prime minister Jacinda Ardern is also the New Zealand’s youngest prime minister as well as the youngest female leader of any developed economy in the world. New Zealand does not have any dangerous or poisonous animals (with the one tiny exception of the Katipo Spider). Plus there aren’t any land snakes, native or introduced, and the only land mammals native to NZ are bats. All other animals were introduced by Maoris and Europeans, including sheep of which there are now 9 for every person. In fact, of all the population in the country, only 5% is human — the highest animal to human population in the world. New Zealander’s name-sake - the native kiwi bird. is the largest Polynesian city in the world and is also known as “The City of Sails” and has mNoore boats per capita than anywhere else in the world. One in three Auckland households own a boat. Auckland is also one of the most affordable cities in the world to live in. No trip to Auckland is complete without a boat trip into the Hauraki Gulf! Dolphins in the Auckland harbor. New Zealand is home to the Polynesian Maori culture, who inhabited the island more than 1,000 years ago and account for 14% of the population. While in New Zealand be sure to listen to stories of their compelling myths and legends, learn about their pottery and textile traditions, and enjoy an authentic hangi feast! Want to visit New Zealand? Join us there, and be sure to check out our community partner Project Jonah!